This years HobbyTown National Convention was held in Lincoln, Nebraska on July 9,10, 2014. HobbyTown is a nationally registered franchise, and the company is widely regarded as a leader in the retail hobby industry; this event is thus one of the most exciting times of the year in the hobby industry. HobbyTown franchisees travel from over 150 nationwide store locations to network with the biggest and brightest names in hobbies and toys. The trade show proudly features a wide variety of hobby products: R/C vehicles, helicopters, planes, games, tools, toys, models and railroad are just a few of the various types of products you’ll find on display. 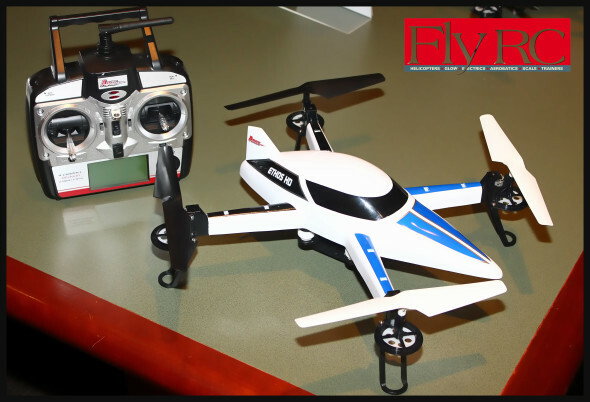 Many notably new and exciting products were on display from Dromida, Ares RC, Hobbico, Hitec, Graupner and other manufacturers.FlyRC was in attendance at this years show and we were excited to get a look at many of the exciting new offerings. 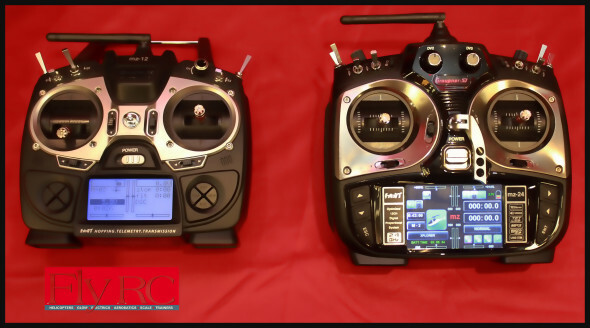 The Ares RC Ethos HD is a 292mm quadcopter that features the Aegis six axis Flight Stabilization System (FSS). It includes a camera that is capable of shooting 1080 HD video at 30FPS, 720 HD video at 60 FPS and 1600 x 1200 resolution still photos in a JPG format. 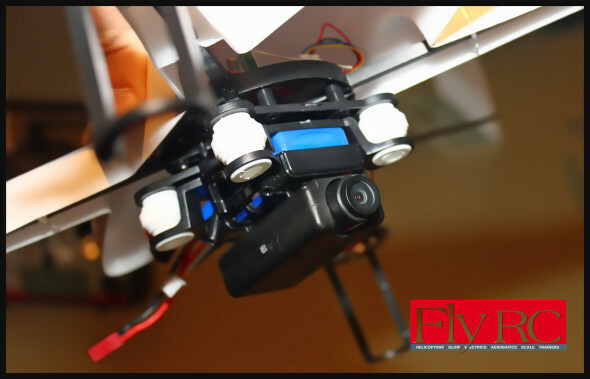 The camera is mounted on an anti-vibration mount and can be cotrolled from the included 2.4GHz transmitter. An integrated LED system is also included. The Ethos HD is powered by a two cell 1200mAH LiPo battery. 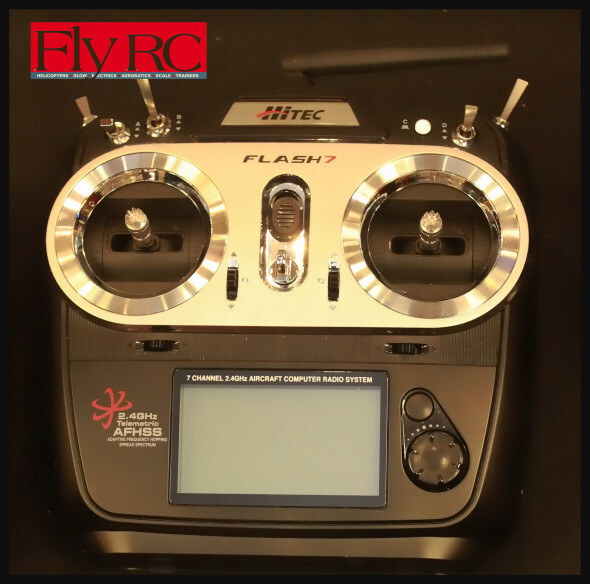 The Ares RC Ethos FPV multirotor adds a 4.5 inch (diagonally measured) LCD screen to the transmitter and is capable of FPV flight. 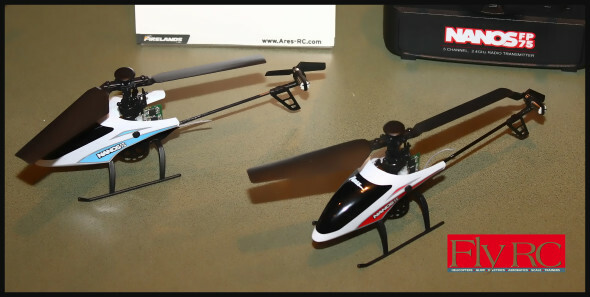 The Ares RC Optim 300 CP is a 300 sized, flybarless collective pitch helicopter that is 3D capable. 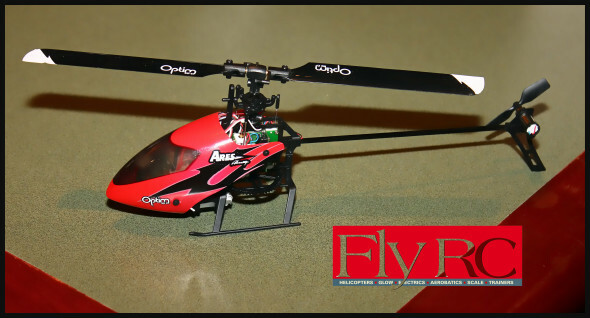 This RTF heli includes a seven channel 2.4GHz transmitter and has a rotor diameter of 22 inches. A 4200Kv brushless motor is powered by a 3S 1300mAH 25C LiPo battery. Ares’ Natural Flight Progression (NFP) is sure to help newer pilots successfully and progressively develop their 3D and aerobatic heli skills. The Ares RC Nanos FP75 nano-micro sized fixed pitch helis feature a 6.6″ rotor diameter and are powered by a 1S 150mAh LiPo. They can be flown in either a six axis stability mode or a 3 axis mode. Flight modes can be toggled in-flight with the push of a button on the transmitter. A LiPo charger is integrated into the included 2.4GHz transmitter. This wee heli will be available in two different color schemes. The Ares RC Optim 80 CP is a collective pitch machine that utilizes the Aegis Natural Flight Progression feature to help pilots improve their skills in a controlled fashion. With a main rotor diameter of 8 inches, this collective pitch heli is fully 3D capable and uses advanced six axis stabilization technology. Dromida, a relatively new product line that debuted with several exciting 1/18 scale surface vehicles, surprised many attendees with the introduction of heir first aerial product. The Ominus RTF quadcopter trades four wheels for four props. This 238mm quadcopter, with its flowing black and gray aesthetics, looks every bit the part of a stealth aircraft. 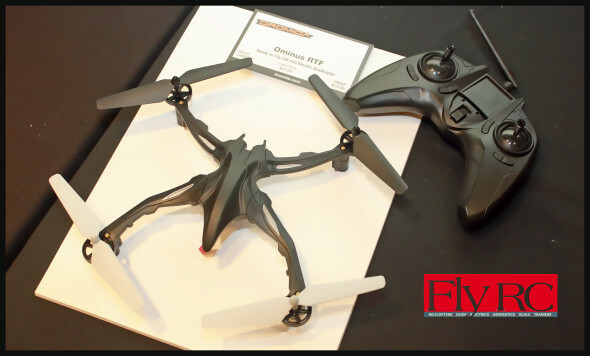 Dromida was also displaying artwork on a 90mm, video camera equipped quadcopter called the Kodo. More details will be revealed on both products soon; we are quite excited to see what these first Dromida air offerings are all about! Other notable manufacturers included Hitec, who displayed a new Flash seven channel radio system with a built-in 2.4GHz AFHSS/SLT module. This radio features a twenty model memory, acro/glider/heli programming and telemetry capabilities. 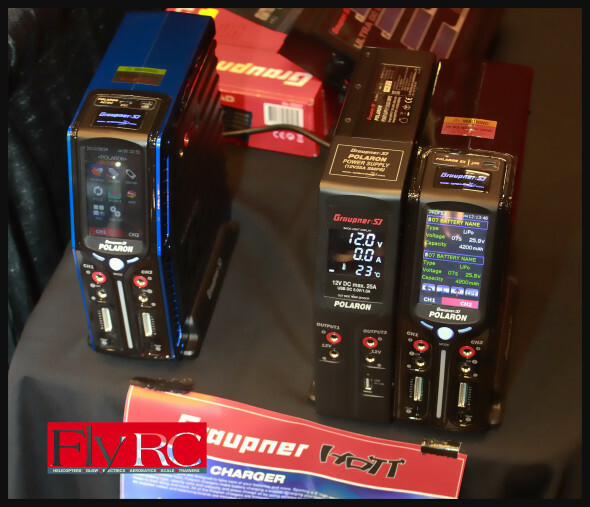 Graupner had an exciting variety of products on display. 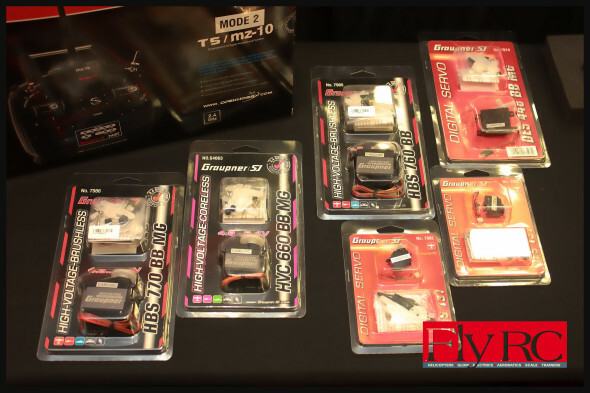 The Graupner MZ12 and MZ24 2.4GHZ transmitters, a new line of digital servos and the powerful series of Polaron chargers were all on display at the show; we hope to bring our readers in-depth reviews of many of these products in the near future.